Technology giant Google has announced its game streaming platform Stadia at GDC 2019. Google Stadia will work on a number of devices including smartphones, laptops, tablets, TVs, and PCs, provided they have Chrome running on them. The platform integrates YouTube and lets developers add a Play button to the game video on the platform. Users can click on it to begin playing the game on Chrome. Google Stadia will be making use of the company’s data centres that are currently present in over 200 countries and territories. Google’s Phil Harrison showed off Assassin’s Creed Odyssey working across a Pixel 3 smartphone, a Chromebook and a TV via Chromecast. In addition to this, you can use your own controllers or keyboard and mouse to play games on Stadia via your PC or laptop. 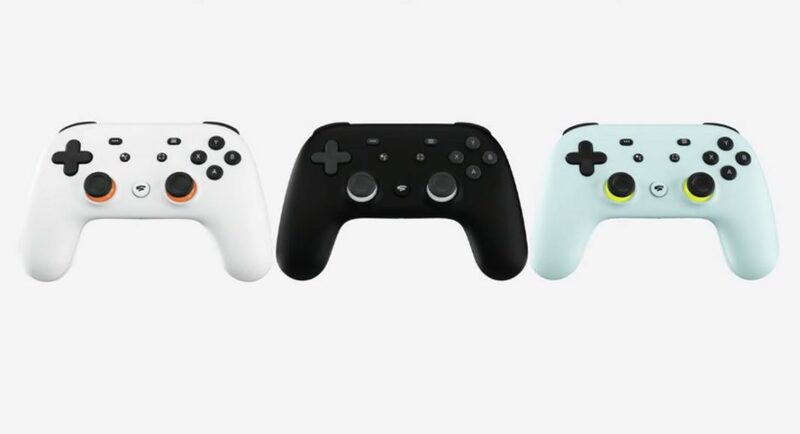 Or, if you want to, you can opt for the Stadia controller that has been unveiled by Google at the same event. The controller is said to link to Google’s data centres directly via Wi-Fi. The controller comes with two new buttons — on of which is a Capture button that enables players to share via YouTube to their friends, themselves or the world. Besides this, it comes with Google Assistant button that players can use during the game. Google Stadia‘s architecture has been built on the technology giant’s data centre technology, which is also said to power the company’s search results. It has gaming-focussed hardware that helps it keep up with heavy games. The data centres are powered by the Stadia GPU from AMD at 10.7 teraflops. We should mention that this is double than Xbox One X and PS4 Pro’s and Google claims that it makes it possible to play games like Doom Eternal at 4K 60fps in HDR. Google has also added that it has been testing Stadia’s tech internally for years now and it only plans to enable 4K 60fps gameplay with HDR in surround sound when it will be available for all. The company also added that Stadia will eventually be able to go up to 8K too. Furthermore, players would have an option to share their Stadia gameplay footage with HDR to YouTube and this too, can be done at 4K 60fps. Google has also confirmed that multi-player games like battle royale and couch-based co-op experiences will also be supported on Stadia. That’s not all. The game-streaming service by Google will also have support for cross-platform play. As of now, there is no word on the availability of the service, apart from the fact that it was announced that it will be available in the US, UK, Canada and Europe later this year. However, we must add that there are a number of questions that Google did not answer about the new gaming service like its pricing, the games that would be available and how exactly would multiplayer setting work.